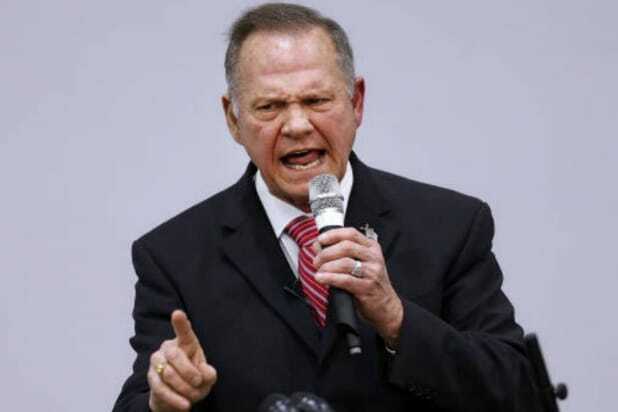 Amid the stunning defeat of Republican Roy Moore in the Alabama Senate race this week, his most ardent supports are beginning to suggest that he may have been robbed and that Democrat Doug Jones’ victory was achieved only with the aid of voter fraud. The idea first got going on Wednesday, when a tweet from pro-Trump radio host Bill Mitchell went viral. Mitchell’s “rumor” was widely dismissed on Twitter by most journalists who followed the race — including this one — as disingenuous and appealing to the worst sensibilities of the region’s voters. To date, no credible evidence has been presented to suggest Jones was the beneficiary of widespread fraud. It’s unclear where Mitchell heard the “rumor.” The radio host did not immediately respond to request for comment from TheWrap. On Thursday, the issue was taken up by the pro-Trump conspiracy oriented website InfoWars, which promoted video of a Jones supporter on a local Fox affiliate in Alabama seemingly saying that many out-of-state voters had participated in the election. The story also lit up Pro-Trump corners of Reddit where a mashup of the video was trending on the president’s most prominent fan page, r/The_Donald/. While voter fraud has been a pet issue of President Trump, who has gone so far as to empower a special commission to study the matter, the White House declined to take the bait. During her regular briefing on Thursday, Press Secretary Sarah Huckabee Sanders conceded that Jones was the winner. “I think the numbers reflect that.” she said in response to whether Jones has been duly elected. Though he has not cottoned on to the voter fraud meme, Moore has so far refused to officially concede the race to Jones. In a statement Wednesday, he said he was waiting for “military and provisional ballots” to be counted and for the election to be formally certified by the Alabama Secretary of State. Representatives for the Moore and Jones campaign did not immediately respond to request for comment.